News reports from Geekwire and others indicate Amazon is planning to build a satellite broadband akin to those currently in progress by OneWeb, SpaceX, and others. Amazon’s “Project Kuiper” would put 3,236 satellites into low Earth Orbit (LEO) to cover most of the earth with high-speed, low-latency broadband connectivity around the world. Will Elon Musk and Jeff Bezos have dueling services? 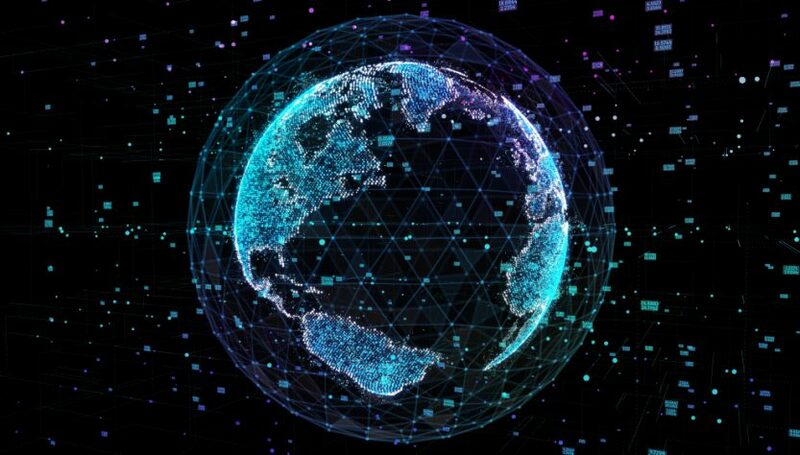 Filings made to the International Telecommunications Union (ITU) through the Federal Communications Commission (FCC) last month described three sets of satellites – 784 satellites at 590 kilometers, 1,296 satellites at 610 kilometers and 1,156 satellites at 630 kilometer high orbits. The constellations would provide data coverage for around 95 percent of the world’s population in areas from 56 degrees north latitude down to 56 degrees south latitude. A statement from Amazon published by Geekwire describes the effort as a “long term project… serving tens of millions of people who lack basic access to broadband internet. Amazon says it looks forward to partnering with companies that “share this common vision.” Exactly what sort of “partners” it is looking for looking for is unclear, especially since there are four other companies who are in the process of raising money and building satellites, plus Facebook’s dabbling with advanced comm sat technologies such as lasers and millimeter wave. OneWeb appears to be the farthest along on the path towards a large scale LEO broadband constellation. The company launched its first six production satellites and completed a $1.25 billion investment round over the past 60 days. A shiny new factory in Florida is gearing up to produce up to 3 satellites per day so OneWeb can start launching up to 32 satellites at a time starting in the second half of this year, with plans to put 150 satellites into orbit by the end of the year, starting regional service in 2020 with 300 satellites and offering global coverage by 2021 with 600 satellites. SpaceX’s plans for its Starlink broadband service remain a mystery, with clues coming from Mark Harris and others scouring FCC filings. The company has launched two pathfinder satellites and may have started to build up to an initial 75 satellites for launch sometime this year, possibly as early as May. Telesat has one pathfinder satellite in orbit and has commitments from a couple of customers. The company expects to put an initial 117 satellites into orbit, with a downselect to a contractor to build satellites and ground equipment expected in the next few months. LeoSat is the dark horse in the race, not expecting to launch its first satellites until next year, but has financial backing from SKY Perfect JSAT and Hispasat plus a pre-launch order book of $1.5 billion in enterprise commitments. The two biggest advantages Amazon can bring to the table are cash and Blue Origin. Amazon is worth around $900 billion on any given stock market day and generated a gross profit of almost $94 billion. Building a broadband LEO network could cost anywhere from $4 billion to $10 billion, depending on how satellites are made and how many are needed to start offering service. Amazon founder Jeff Bezos’ Blue Origin launch company will start flying its reusable New Glenn launch vehicle In 2021, which would be right about the time Project Kuiper might be looking to sign launch contracts for thousands of satellites. Things might get a bit awkward between Blue Origin and one of its initial customers, Telesat. It will be interesting to see what Elon Musk says about the Amazon efforts. He hasn’t been shy at taking swipes at Blue Origin in the past and one can only imagine what he’ll say when he starts comparing Starlink to Amazon’s plans.